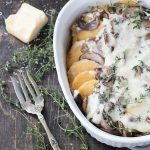 This casserole is a tasty holiday side dish that is gluten free and has the option to be vegan. 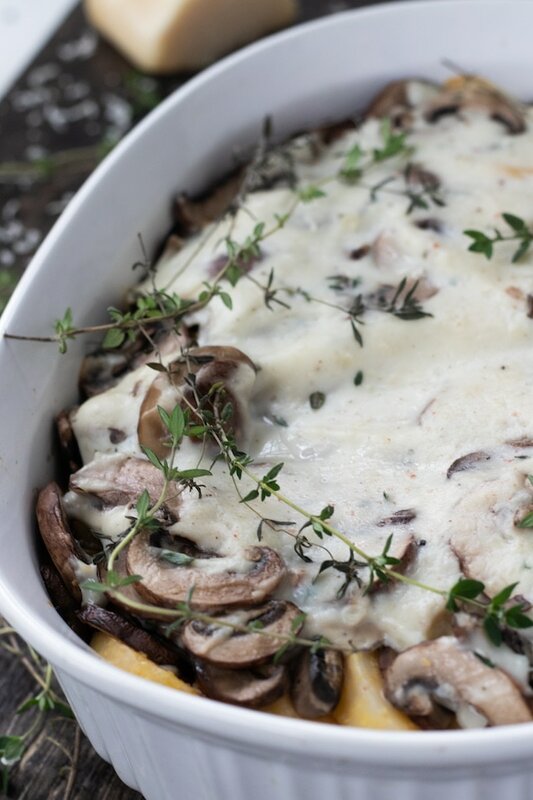 The combination of polenta, mushrooms and thyme creates a harmonious blend of flavors that lends a new definition to comfort food. I made this recipe on a whim. Most of my recipes I cook for the blog I test about 2-3 times. This one was a hit on the first try! I always use the log of polenta instead of the box mix and I have to say that I love the texture. I really dislike oatmeal and grits, but there is something about this formed polenta that I really enjoy. I remember the first time I ever tried polenta. I was in West Seattle with my cousin, Michelle, and we went to a Mexican restaurant. Many of you might think that it was a tamale (although I do like these too), but it wasn’t, I double checked! It is a type of cornmeal that is mostly consumed boiled, as a porridge, but can be molded into a loaf to be baked, grilled, sautéed or fried. I picked up this log of polenta at my local Kroger, but I’m sure they have it at other local grocers. High in Vitamin A and C: Antioxidants that are great for skin, eyes, immune system and have been proven to protect against cardiovascular disease. 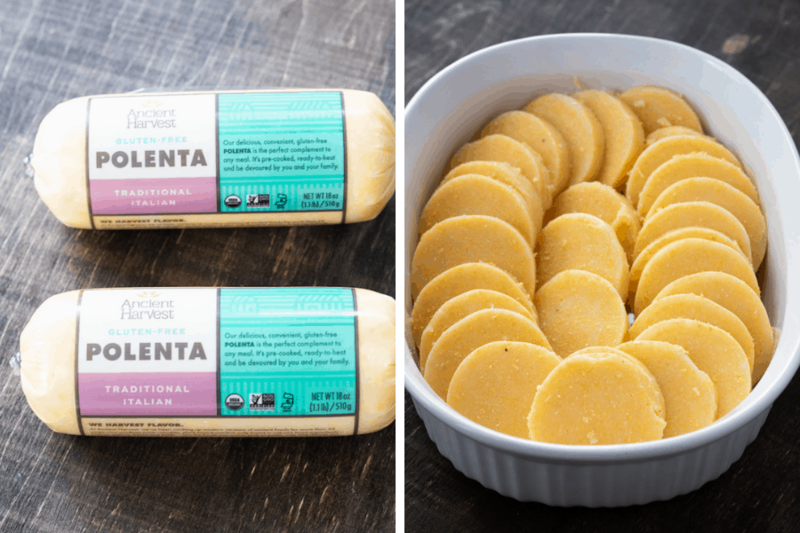 Low in fat and relatively low in calories: Polenta essentially consists of water and yellow corn meal. It does provide some protein, about 2g per 2.5 slices. It requires minimal ingredients outside of your pantry staples. 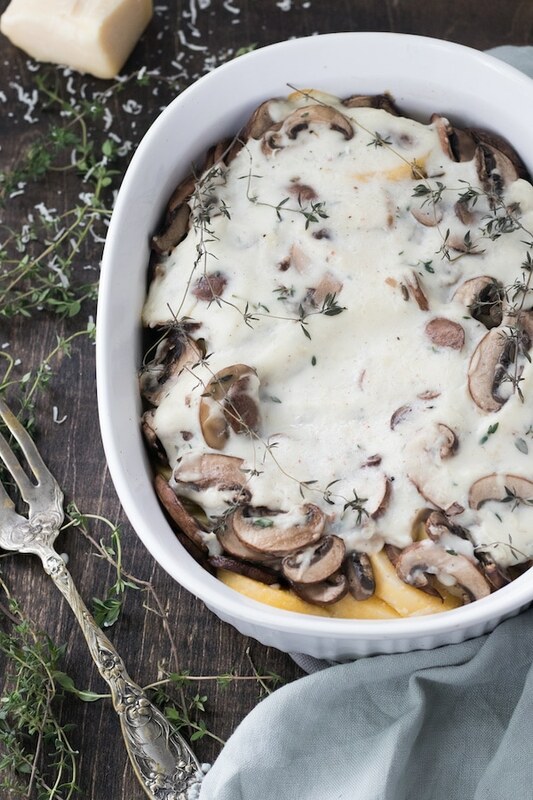 If you want to step up your Thanksgiving side dish game, bring this baked polenta and mushroom casserole. Guests will be able to try something new. 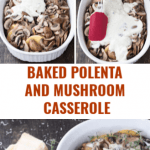 This casserole can also be made vegan and polenta is naturally gluten free (unless processed in a facility with gluten- see label). 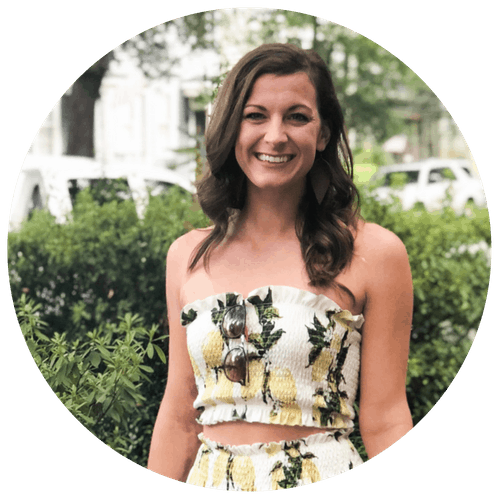 Looking for more healthy holiday options? This casserole is a tasty holiday side dish that is gluten free and option to be vegan. The combination of polenta, mushrooms and thyme creates a harmonious blend of flavors that lends a new definition to comfort food. Prepare casserole dish and preheat oven to 350F. Place polenta slices into casserole dish accordion style, as depicted in the picture above. Saute garlic in olive oil over medium high heat. When garlic is fragrant add in sliced mushrooms and cook until mushrooms start to become soft. Do not overcook the mushrooms. 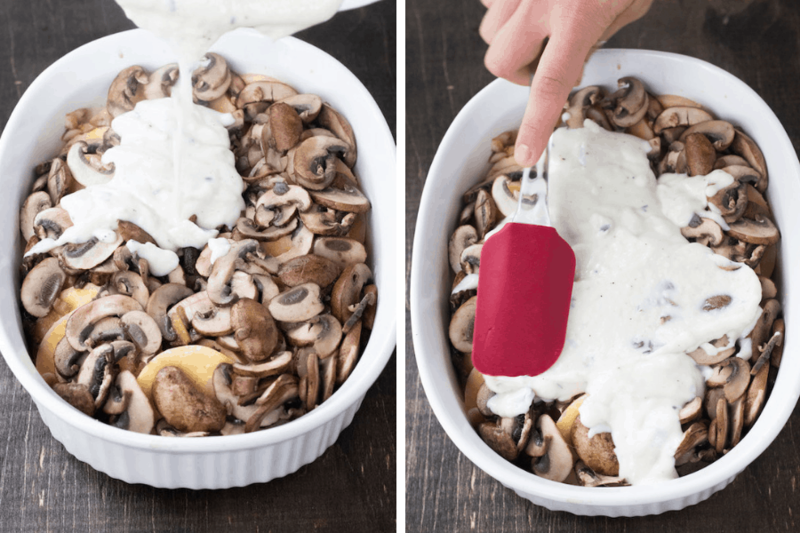 Gently pour mushrooms and garlic over sliced polenta in the casserole dish. Return pan to medium heat on the stove and melt butter. As the butter begins to melt, add in half of the flour and milk, whisk to combine. As roux forms, add in remaining flour and milk and whisk until smooth. Add the parmesan cheese and 3-4 sprigs of plucked thyme leaves into the roux. Salt and pepper to taste. Bake for 15-18 minutes at 350F. Remove from oven and garnish with additional thyme leaves and sprigs as desired. Vegan: Use vegan butter, vegan cheese and milk alternative. 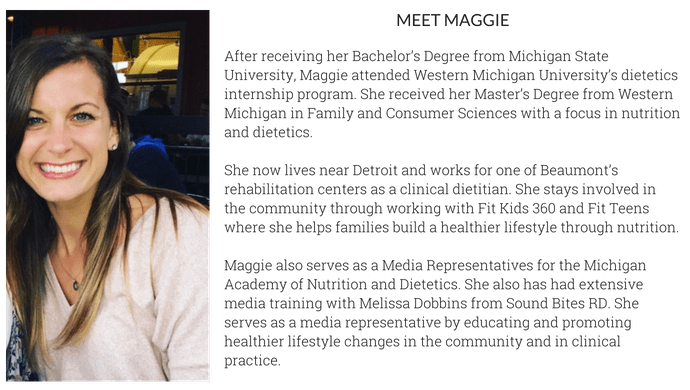 Don't forget to follow Meals with Maggie on Pinterest !